o2b Fun, Inc is a 501-c-3 Florida not for profit, female owned education foundation. Incorporated and Approved by State, Federal and IRS Laws in 2014. At o2b Fun, Inc. we EDUCATE+EQUIP+EMPOWER the Tampa Bay Area students by providing 8th grade Middle School students with a complimentary Educational Summer Camp Experience. We also provide College Bound students with a one time Cash Scholarship to a Florida College of their choice. As many of you know, I have been doing events, fund-raising, acquiring sponsors, training volunteers, and promoting all aspects of Fundraising and Event Execution for many organizations since 1986. A) Student from 4-10th Graders scholarship to a Florida Educational Summer Camp Experience. These grants range from $200 to $1500. B) School Grants given out at the beginning of school year to Greater Tampa Bay Area Schools with needs. These grants range from $500 to $1500. C) To provide a College Bound student a once in their lifetime a College Grant to a Florida college of their choice. These grants range from $1,000. to $9,000. NOTE all our scholarships are given require that the student must attend a Florida College/PTEC/University/etc. We gladly accept gently used computers; iPads, and all types of mobile phones which should be factory reset. 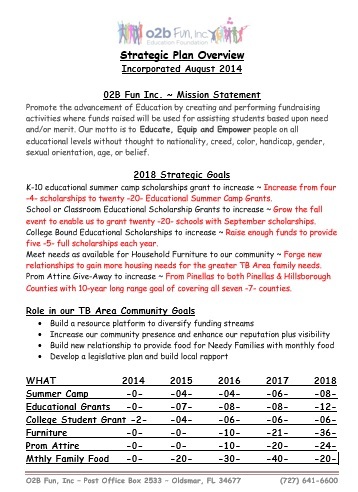 Funds will be awarded to students on all levels of education by o2b Fun Inc, by June 5, annually. For more detailed information, check out our Student Info page! Without YOUR support, we might not be able to continue providing these scholarships for the students, so we sincerely hope you help us so we can help Florida Kiddos. 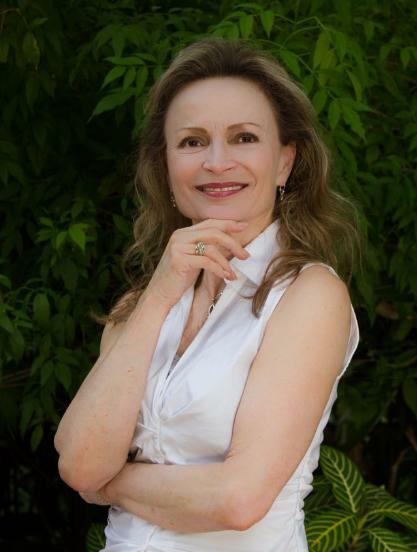 Cristina is certified with National Federation of Person Trainers and has worked for Outpatient Physical and Occupational Therapy Clinics for over 20 years. She volunteers for MS including completing in the 100 mile MS Citrus Bike Tour Fundraiser. 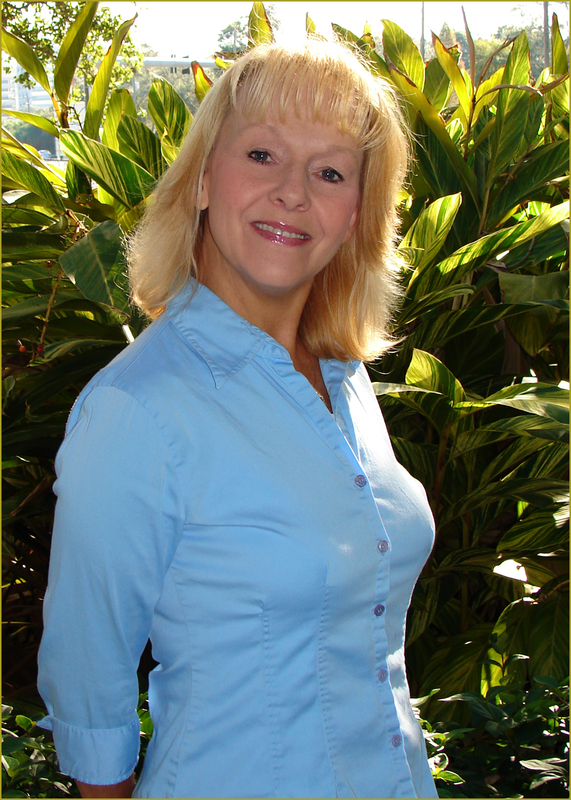 Native to Florida with passion for the outdoors, she is a mother of two wonderful daughters and one granddaughter. Cristina attends Calvary Baptist Church. Terri has been a member of the American Operating Room Nurses Association (AORN) most of her career. As a Certified Nurse of the Operating Room (CNOR) since 1990, Terri enjoys the opportunity to train scrub-technicians and RNs to perform the various roles required within the operating room. Terri has two children, Gretchen and Garrett. She attends Countryside Christian Center and Calvary Baptist Church in Clearwater, where she regularly volunteer for various activities. Terri has attended Countryside since 2005, where she was blessed to meet Brenda, who has been a consistent godly example of a true friend. Vivian lives in Pinellas County. Her son (Tyler) and daughter-in-law (Allison) live in Edison, NJ and are expecting their first child in February. 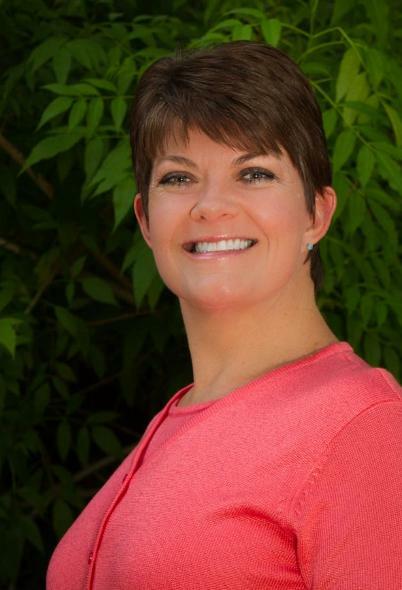 Brenda Robinson Geanakos, Executive Director and Founder of o2b Fun, Inc., has more than 20 years of progressively responsible experience in directing a variety of fundraising events, including all logistics, all sponsorship and training of volunteers. Brenda has worked with four not for profit companies from creation of events to successful profit during tough economic times, and provided growth in attendance at the events. 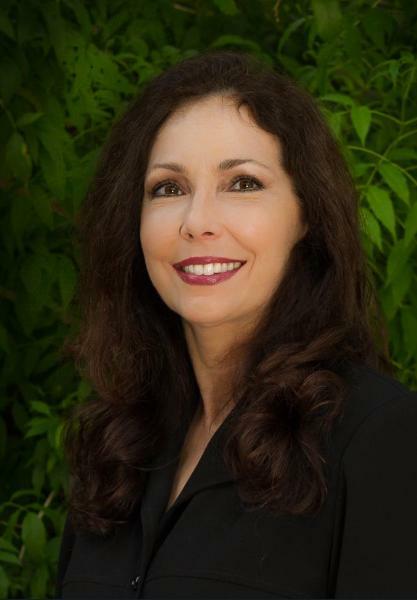 Brenda served from 1986-1995 as Vice President of Special Events with March of Dimes Birth Defects Foundation, then onto Upper Tampa Bay Regional Chamber; and onto Clearwater Regional Chamber. Most recently for four (4) years as Director of Partner Development Assistant with All Pro Dad. Brenda brings with her over 20 years of experience in the events, meeting and conferences sector for Fortune 500 companies and the non-profit sector. Brenda’s career spans the gamut from multi-day conferences in Washington DC, New York, Reston,VA, Florida and West Virginia to incentive trip to Hong Kong for 150 winners. 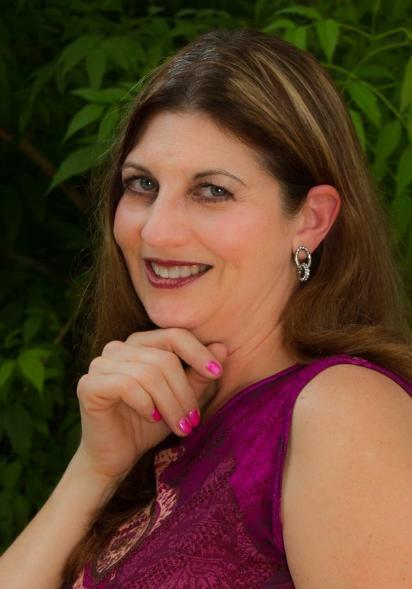 Brenda has handled the complete logistical, planning and budgetary management of her events, from start through to completion along with post-event analysis. She managed hotel/vendor negotiations, acquiring sponsorship; acquiring in-kind; catering, audio-visual, housing, floor plans, entertainment, transportation, coordination of trade show and exhibits, on and off site events for groups ranging from a Fifty to over 1,000 attendees. From weekend long Events/Festivals to Single Events to Ribbon Cuttings to After Hour Mixers to Weddings and recreating events or starting new events for all interested. Brenda’s approach to planning has always been to incorporate her supplier’s desires, along with providing the “extra mile service,” to all sponsors, vendors, attendees and suppliers to make her events the best. Brenda gained her certificate in event management from Rosen School of Hospitality/UCF and is a member of Tampa Bay MPI chapter. Brenda attended Marshall University in the field of Public Relations and is married to John Geanakos has a son Nathaniel along with her beautiful daughter (in-law) Catie. Brenda is proud to be a member of Countryside Christian Center in Clearwater, Florida and makes her home in the Tampa Bay area where all she wants to do is to make life FUN and help others! This corporation is organized exclusively for one or more of the purposes as specified in Section 501 (c) (3) of the Internal Revenue Code, including, for such purposes, the making of distributions to organizations that qualify as exempt organizations under sections 501 (c) (3) of the Internal Revenue Code, or corresponding section of any future federal tax code. It’s our Legal Info page brought to you as a service of o2b Fun, Inc. Please read this agreement. We encourage free and open exchange of information and ideas, but ask you to abide by all terms as a condition of using this site. Your use of this site constitutes your agreement to these terms. Modification of this Agreement. This agreement may be changed or modified at any time. A notice of changes or modifications will be posted as quickly as possible. You agree to review the agreement periodically to keep current on its terms. Your continued use of the site after any change or modification to this agreement constitutes your agreement to any changes or modifications in the terms. Use of Information by o2b Fun, Inc. When we collect personal information about users, that information could be shared with advertisers, but only in the aggregate. We will never provide personal information on an individual basis to any third party individual. The site’s content is for your personal, non-commercial use. You may hyperlink to o2bfun.com or www.o2bfun.org so long as the link does not state or imply any sponsorship or endorsement of your site by either of our o2bfun websites or o2b Fun, Inc. or any of our affiliates. Any linking which results in display of this site’s content surrounded by or included with content of another site, organization or person is prohibited. You may not use the content in any way not specifically provided for in this agreement without the specific written consent of o2b Fun, Inc. User Content. You acknowledge that communication using o2bfun.com or o2bfun.org often occurs in real time or is posted in or on one of many forums or message boards. As such, o2bfun.com or o2bfun.org cannot and does not intend to attempt the impossible task of screening communications in advance. You therefore acknowledge that neither o2bfun.com; o2bfun.org or o2b Fun, Inc. or our affiliates shall assume or have any responsibility by action or inaction with respect to content posted or provided by users. You are solely responsible for anything you post in this site’s blog; site’s chat rooms, site’s forums, site’s guest books and other site’s public posting areas. You will use o2bfun.com or o2bfun.org only for lawful purposes and will not post or transmit any obscene, threatening, abusive, or false and defamatory material. Both o2bfun.com and o2bfun.org reserves the right to deny access to anyone who violates posting rules or any part of this agreement. Both o2bfun.com and o2bfun.org retains the right to delete, move or edit any posting in its sole discretion and reserves the right to deny access to you and to anyone assessing this service. Registration. Access to some or all of the content, services and features on either o2bfun.com or o2bfun.org may require users to register and become members of both o2bfun.com and o2bfun.org. If you register with both o2bfun.com and o2bfun.org you accept responsibility for all activities that occur under your account whether or not you expressly authorize such activities. You are responsible for maintaining the confidentiality of your password and for restricting access to your computer so others may not access either o2bfun.com or o2bfun.org using your username or account in whole or in part. Either o2bfun.com or o2bfun.org may terminate membership and deny access to this site to any person who, in o2bfun.com or o2bfun.org’s sole discretion, violates these Terms and Conditions. Such termination or denial of access shall be in addition to any remedies available to o2bfun.com and o2bfun.org and o2b Fun, Inc. in law and equity. Transactions and E-Commerce. During your visit to our site you may elect to engage in a transaction involving the purchase of a product such as Event Tickets, Event Sponsorship, print or online advertisement or other tangible goods and services. Credit card transactions and order fulfillment are handled by PayPal and often handled by other third-party processing agent, bank or distribution institution. While in most cases transactions are completed without difficulty, there is no such thing as perfect security on the Internet or offline. If you are concerned about online credit card safety, in most cases a telephone number will be made available so you can call us and place your order by phone. Both o2bfun.com and o2bfun.org cannot and does not take responsibility for the success or security of transactions undertaken or processed by third parties. Change in Service. Both o2bfun.com and o2bfun.org may modify, suspend, discontinue or restrict the use of any portion of both o2bfun.com and o2bfun.org including the availability of any portion of the Content at any time, without notice or liability. Sever-ability. If for any reason any provision of this Agreement is found unenforceable, that provision shall be enforced to the maximum extent permissible so as to affect the intent of the parties as reflected in that provision and the remainder of the Agreement shall continue in full force and effect. Choice of Law. Both o2bfun.com and o2bfun.org is controlled, operated and administered from its offices within the city of Clearwater, Pinellas County, Florida. This agreement between both o2bfun.com and o2bfun.org and its users shall be governed and interpreted under the laws of the State of Florida. You hereby agree that any cause of action you may have with respect to both o2bfun.com and o2bfun.org must be filed in a federal or state court located in the State of Florida. The sole venue for any legal action that concerns this agreement, content on this site, or use of this site shall be Pinellas County, Florida. This page contains links to current corporate policies as well as agreements for the products and services available through o2b Fun, Inc not for profit education foundation. To view any of the documents presented on this page, click on the policy/agreement. EMAIL ALERTS AND BLOGS: We may offer you opportunities to subscribe to email alerts concerning topics we believe might interest you. If you have opted to receive a particular alert or newsletter, you can always unsubscribe later. See Opting Out below. CONTESTS AND OTHER PROMOTIONS: From time to time, we our or sponsors may offer contests, sweepstakes, giveaways, or other promotions on our sites. If you enter one of these, you will be asked to provide information about yourself such as your name, address, telephone number and email address so that we or our sponsors can contact you if you win. We may share this information with our corporate affiliates and any co-sponsors of the contest, sweepstakes, give-away, or other promotion. (Co-sponsors will be identified in the official rules applicable to the promotion.) If you do not want us to collect the information requested, to use it to contact you, or to share it, please do not enter any contest, sweepstakes, give-away or promotion. ON-LINE CHATS, PHOTOS, VIDEOS, COMMENTS and other USER GENERATED CONTENT: If you participate in chat or blog, post a comment on a news story, a blog, or in one of our other forums or guest books, your comments will be public because those comments will be published to the Web. If you sign your comments or include any personal information in them, that information will become public. Protect your own privacy by not posting personal information, such as your phone number, in a chat or comment. Of course, any photo, video or other visual or audio-recorded matter you upload, post, or otherwise submit to any of our sites that accept such submissions will also become public when posted to the Web. We do not edit user-generated content, nor do we remove user-posted material unless we, in our sole discretion, deem it unsuitable for continued publication. IMPORTANT NOTICE ABOUT CHILDREN’S PRIVACY: Children need to obtain permission from their parents before providing any information about themselves to anyone via the Internet. This includes us. If you are under 13, please do not provide us with any personally identifying information about yourself (names, email addresses, physical addresses, or telephone numbers). We will not knowingly collect personally identifying information about anyone under the age of 13 unless we have verified consent of the childs parent or guardian prior to collection. If we learn we have collected such information without proper consent of an actual parent or guardian, we will delete that information as quickly as possible. OPTING OUT: If you register with us, or subscribe to alerts or newsletters, you will have the opportunity to review, update or delete the information you provided us at any time (except information we did not store in the first place), and to unsubscribe to any alerts or newsletters you have asked for (for example, by clicking on the unsubscribe link in an email). If you remove registration information you have provided, you probably will not be able to continue to use the service requiring that registration. If you wish to opt out of receiving notices, information or other contacts, or any other communication or service, please contact us using the information at the location where you previously registered or subscribed. OTHER INFORMATION: Our servers automatically collect some basic information about your computer configuration, including the type of browser and operating system you use, the resolution of your monitor, the web site that referred you, and your IP address. (Your IP address is the numerical address of the computer connected to the Internet, used to transmit requested data, such as the web page you want to view. It does not tell us who you are. It just identifies the computer being used.) We use IP addresses for systems administration purposes, to deliver our web pages to you, to tailor our ads to the interests of our users, and to measure traffic within our site. To improve our sites a interest and usefulness to users, we may send non-personally identifying information to ad networks displaying ads on our sites. CHANGE IN SERVICE. The o2b Fun, Inc. / both o2bfun.com and o2bfun.org may modify, suspend, discontinue or restrict the use of any portion of both o2bfun.com and o2bfun.org, including the availability of any portion of the Content at any time, without notice or liability. CHOICE OF LAW. Know o2b Fun, Inc and both o2bfun.com and o2bfun.org are controlled, operated and administered from its offices within the City of Clearwater, Pinellas County, Florida. This agreement between o2b Fun, Inc. and both o2bfun.com and o2bfun.org along with its users shall be governed and interpreted under the laws of the County of Pinellas in the of the State of Florida. You hereby agree that any cause of action you may have with respect to o2b Fun, Inc. / and both o2bfun.com or o2bfun.org must be filed in a federal or state court located in the County of Pinellas in the State of Florida. The sole venue for any legal action that concerns this agreement, content on this site, or use of this site shall be Pinellas County, Florida.